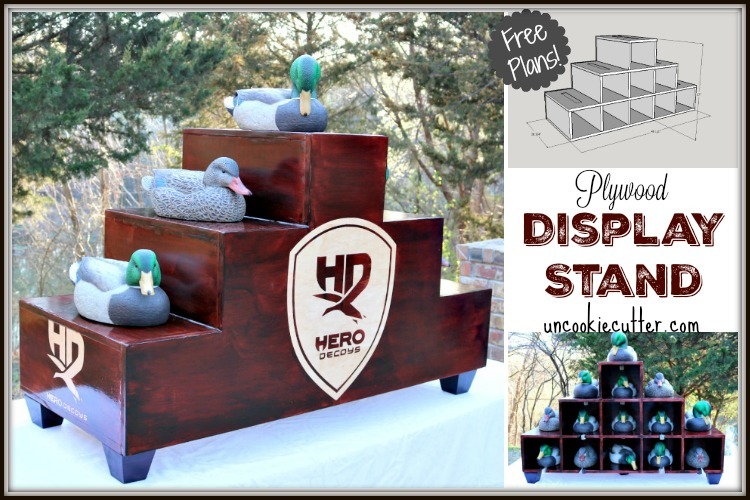 Display Stand DIY – Build Your Own with My Free Plans! Hello and welcome back! 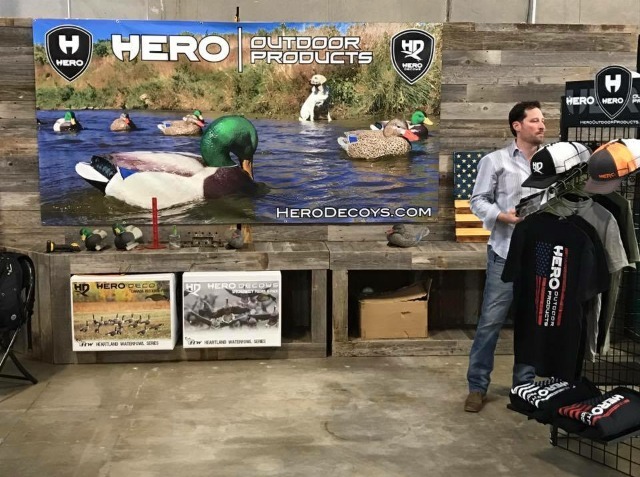 I was recently asked by my friend, who is one of the faces of Hero Decoys, to build a display stand for their duck decoys. 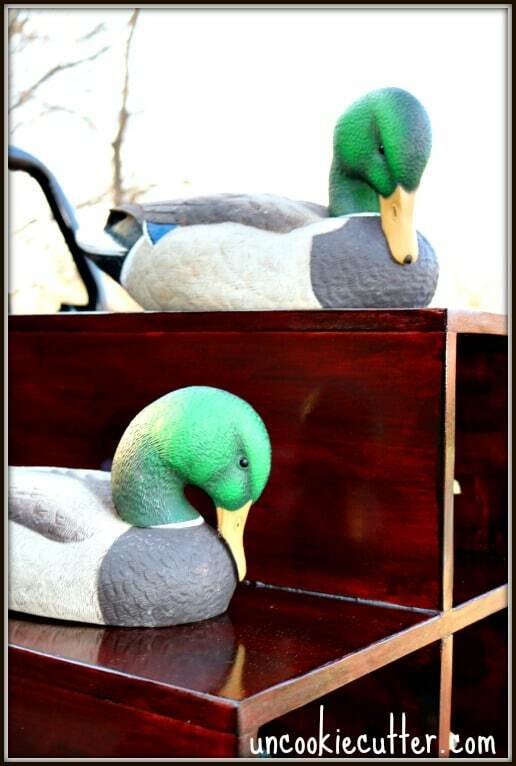 Now, I had no idea what a duck decoy was, but I was interested in building a display stand. I mean, I’m up for a new challenge. 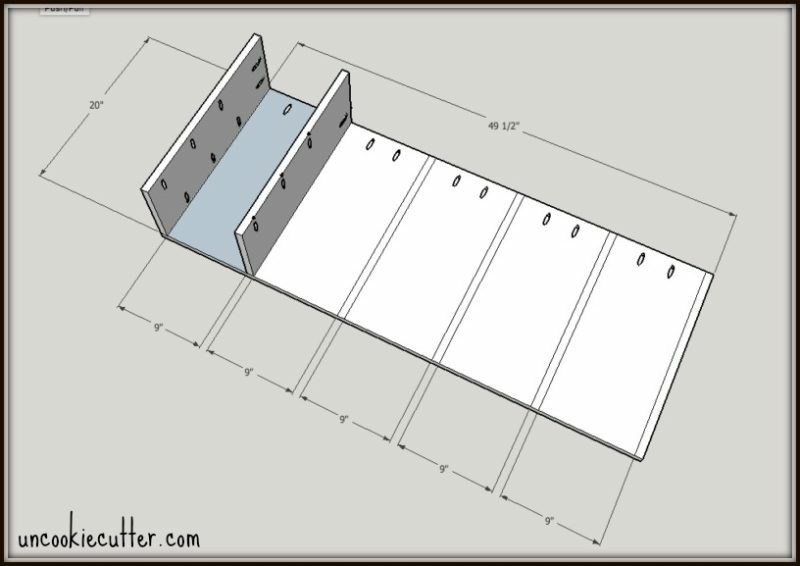 I wrote my first set of plans because I think a box like this could be used at a number of different places – craft shows, your house, wherever. My friend Michele, and the lady behind the man, was inspired by Japanese-style Step Tansus. She actually has one in her home and it’s so cool. When you put two together, you can flip them all around in all kind of different setups and fun arrangements. They make a great display stand, however, there were a couple of problems with these for my friend – first of all the price. Those things are cool, but whoa! The price. Wow. This is why you should build your own furniture. Also, the ducks wouldn’t fit. 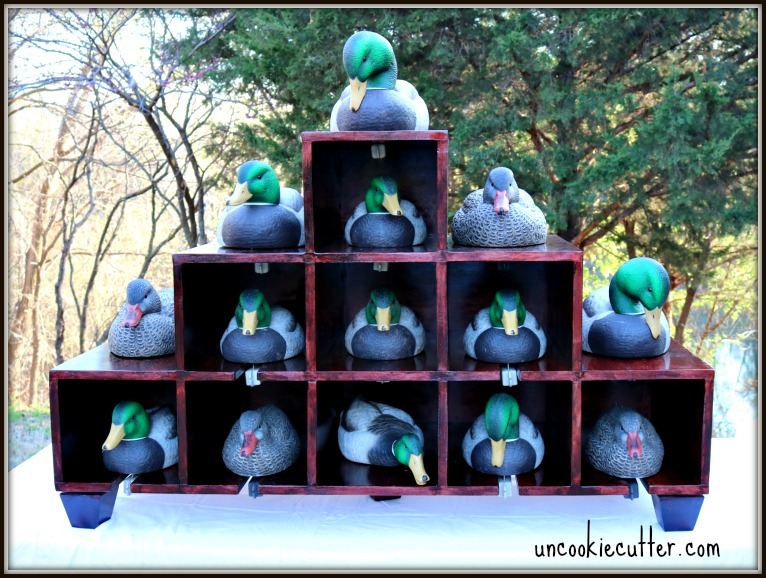 But the main problem is that they wanted a way to display the ducks without them falling over. They have a little thing a ma bop (that I have no idea what it’s for) on the bottom that makes them not look so pretty. So, when they went to the outdoor shows to display them, they were looking like this. See those little ducks laying on the table? I think we can do something about that. So, here we go. 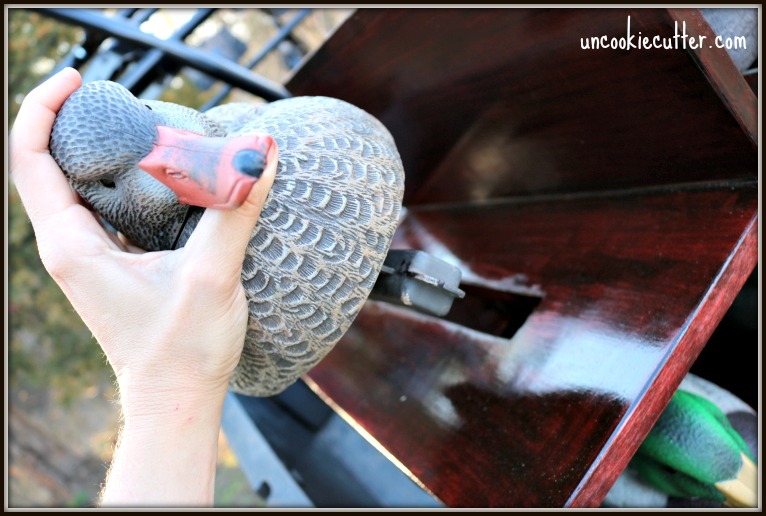 Of course, you can delete the little holes for the ducks if you don’t need them. 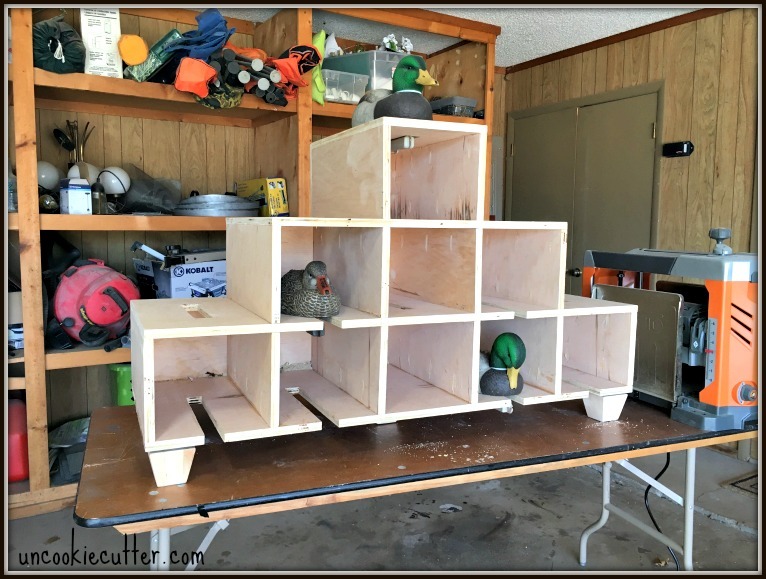 One note, I didn’t include the holes for the ducks to sit into in the general plans, but you can scroll down to see the measurements for where I put them if you like. 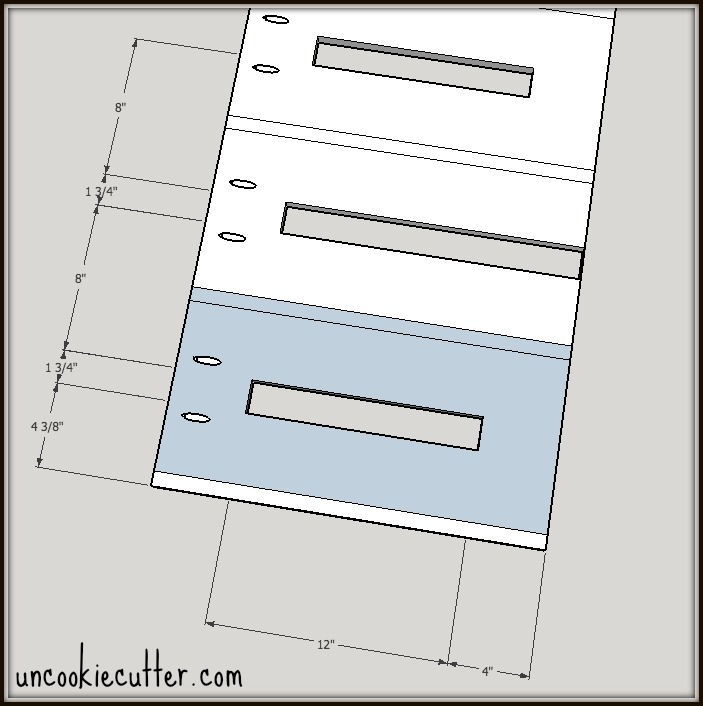 You will want to cut the holes out before assembling all the pieces. See my post on how to stain logos and text HERE. This my very first set of plans, so please let me know if I made any mistakes. You can click on any picture to pull up a printable PDF of the page. Download all the PDF pages HERE. Please read through the entire post before beginning. Please use all safety precautions when using power tools. Refer to owner’s manual for information. This post contains affiliate links for your convenience. See my full disclosure policy HERE. 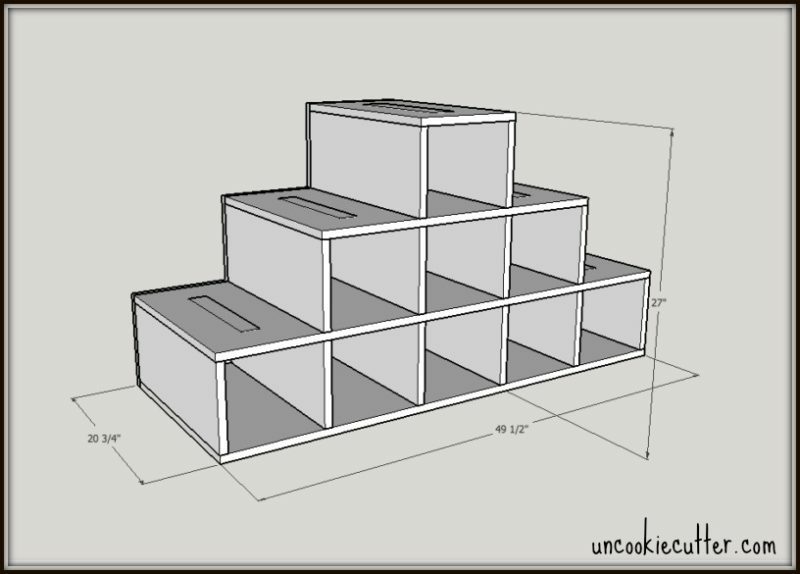 The whole stand is made out of 3/4″ plywood. 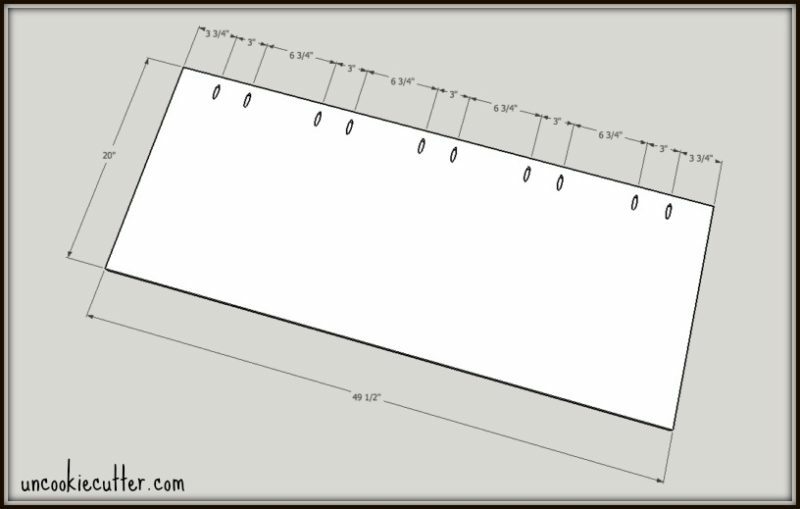 Measurements below are length and width. The first thing I did was cut all the pieces out. I used my Kreg Jig Rip Cut to cut the larger pieces down. 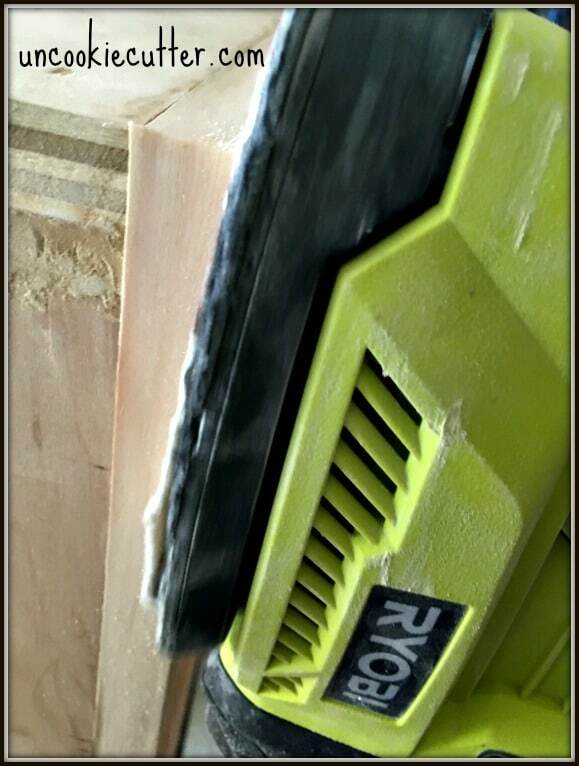 Then I used my new RYOBI table saw to cut the pieces to all the same length. You are going to want them all to be the same front to back – 20″ – so set your fence and rip every piece to 20″. Then cut your other pieces the other way. When you get to the 12 vertical pieces, set the fence at 8″ and cut them all at the same width. This way you will have 12 identical pieces for the vertical pieces. 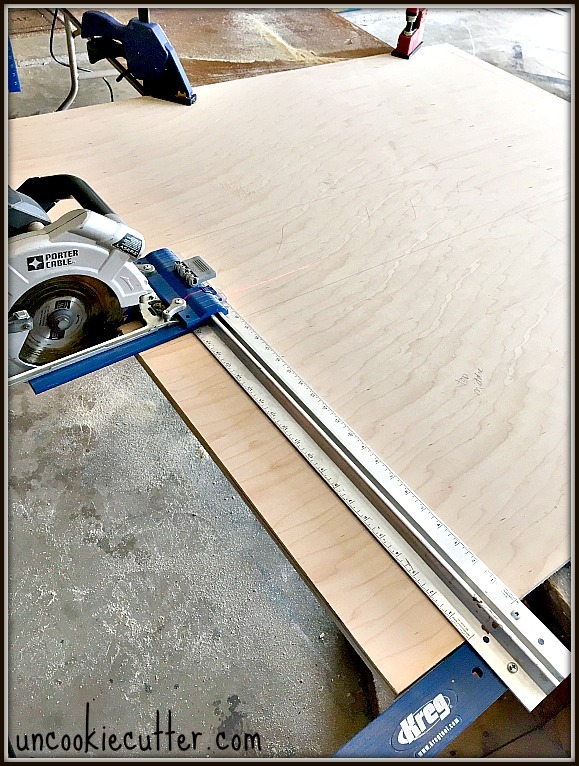 Once all the pieces are cut, You’ll want to go ahead and drill your pocket holes. I find it easier to do them all at once. Here is where I put all the holes. 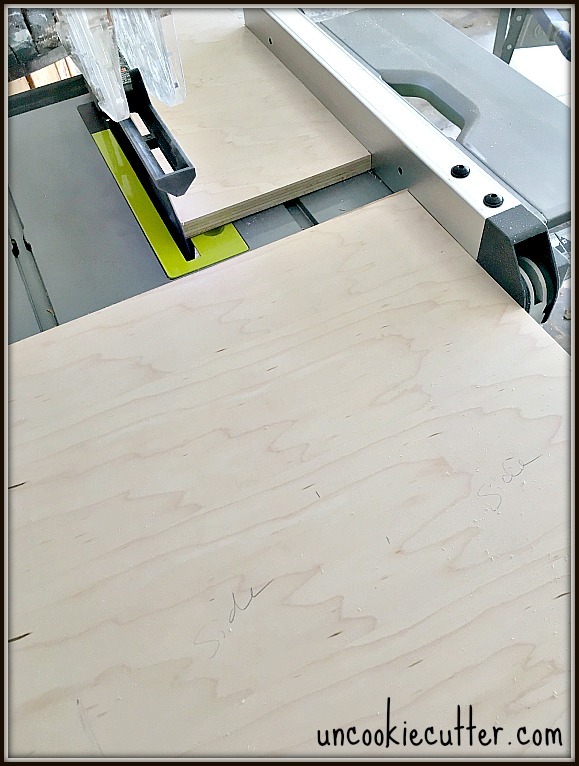 Set the jig and bit for 3/4″ thickness. a. 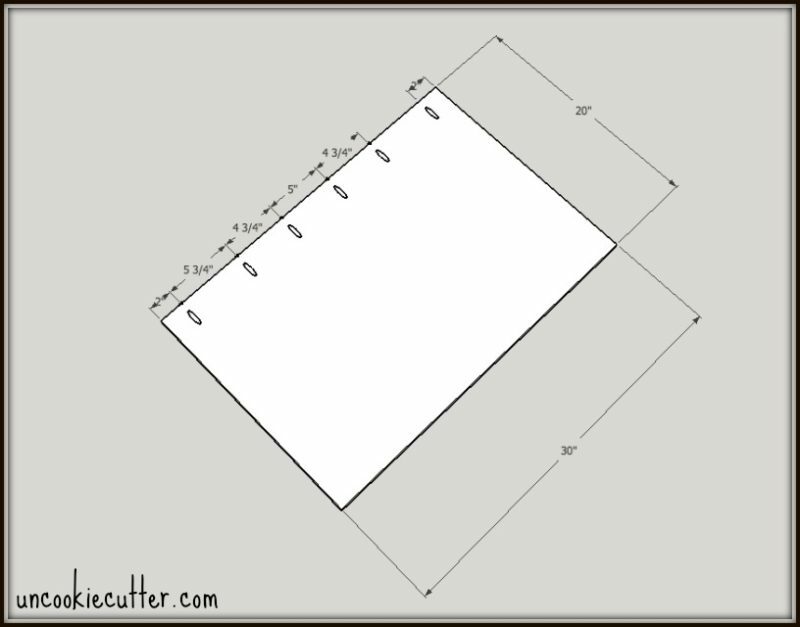 On the 8″ x 20″ pieces, do SIX pieces with the pocket holes all on one side. These pieces will be on the ends. b. Then, do the other 6 pieces like this. 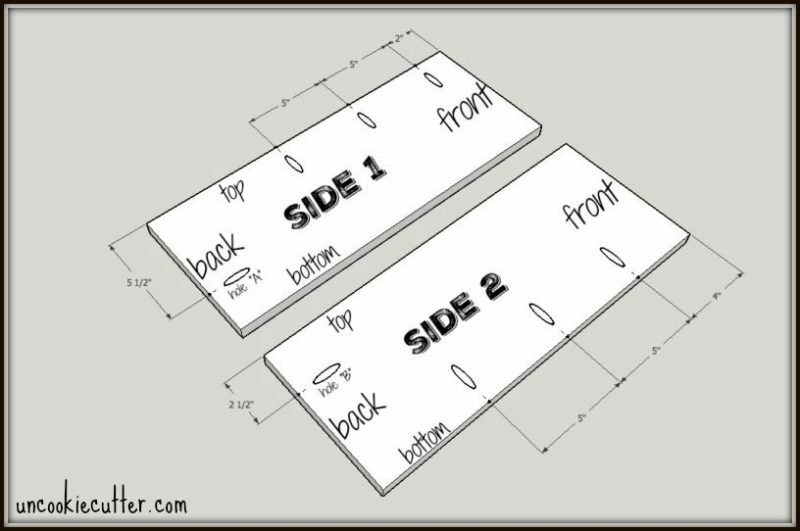 You will have pocket holes on both sides of each board. When you stick the back onto the box, you will use pocket holes “A” and “B” to attach the box to the back. So, make sure “A” and “B” are facing the back side. These pieces will be in the middle. You’ll also need a few pocket holes on the bigger pieces to connect them to the back as well. 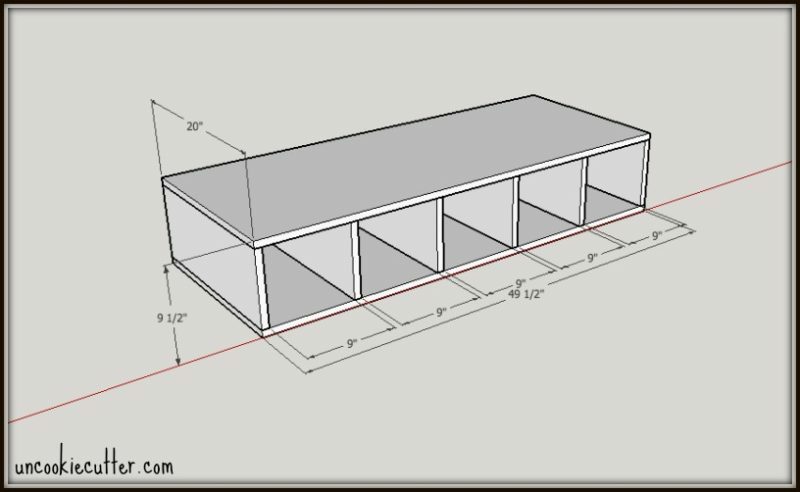 These measurements don’t have to be exact, but you don’t want them to be where the vertical pieces will be in the next step. 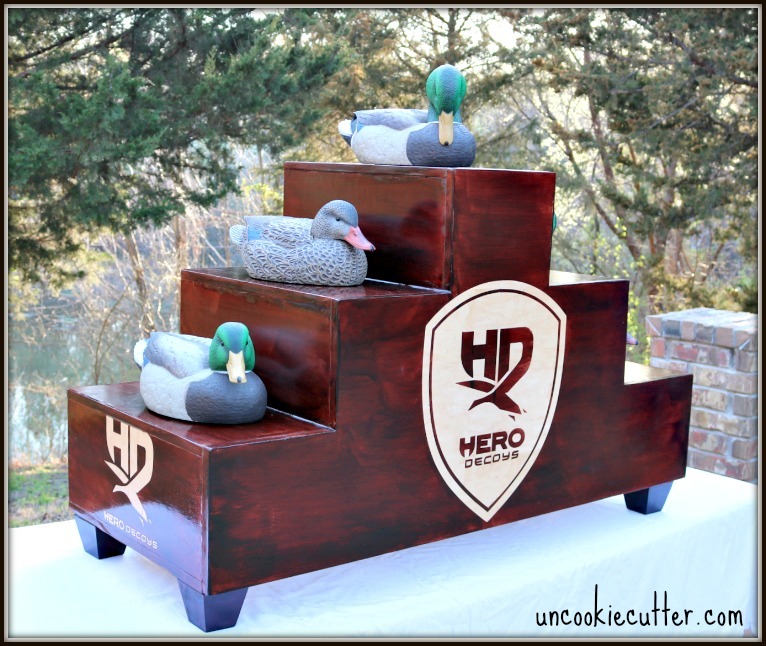 NOTE: If you want to put holes into the box so something (like the ducks) can sit down into it, scroll down and you can see how I put them in. Okay, now you should have all your pieces cut and all your pocket holes in place. It’s time to put it all together. 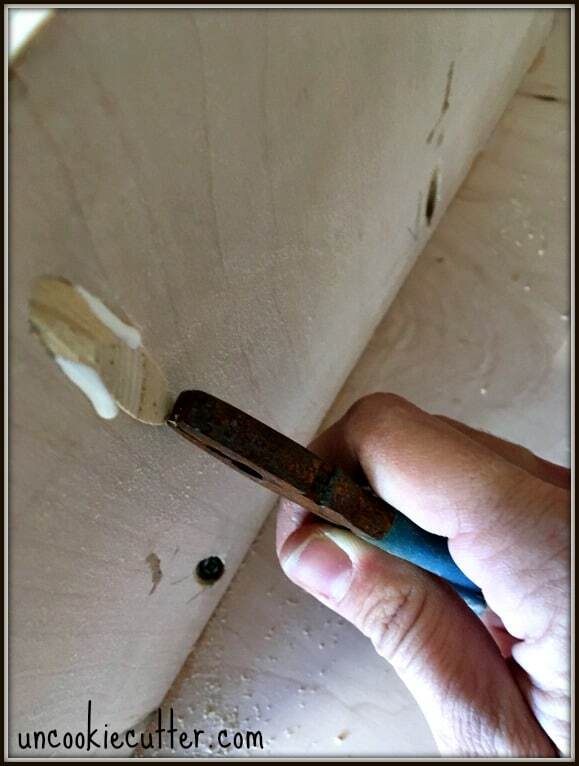 Make sure to use wood glue on all the joints and use 1 1/4″ pocket hole screws. 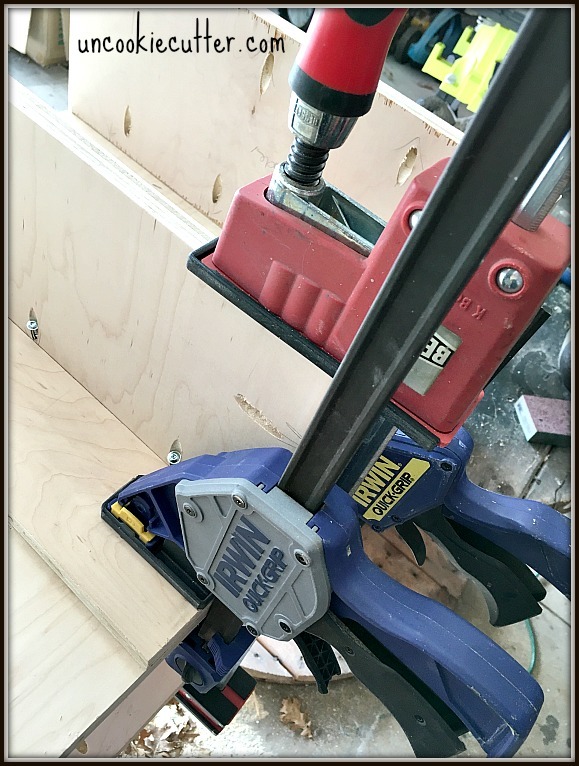 Get a free pocket hole screw guide HERE. Starting at the bottom, I attached the side pieces to the biggest, bottom piece. Make sure the pieces with the pocket holes all on one side are on the ends. Also, make sure all the holes that will attach the box to the back are facing the same direction. Then, attach the other big piece to the top. Use the pocket holes you’ve already drilled. If you can’t get your drill in between the top and bottom, there are a few tools that can help. I like this extension tool (similar). It’s cheap and gets the job done. Then, add the next tier. I added the vertical boards right in line and on top of the bottom ones. 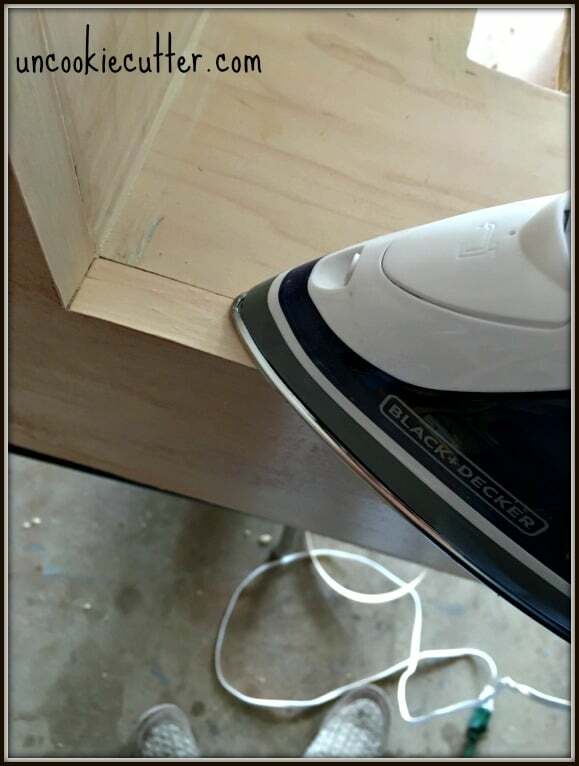 My friend Adam, over at Lazy Guy DIY, taught me this little trick that immediately made me wonder why the heck I didn’t think of this sooner. 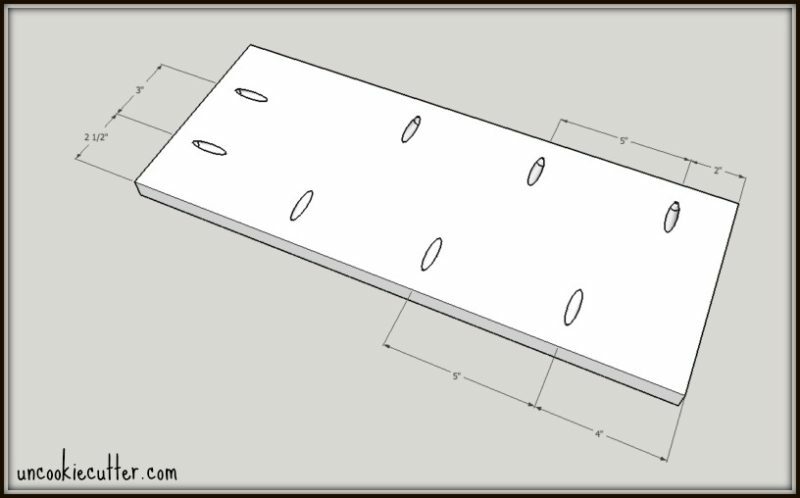 Just clamp boards on either side of where you want the board to stay, then drill it into place! Add the top tier in the same fashion. Next, I wanted to add a back to make it super strong and sturdy. 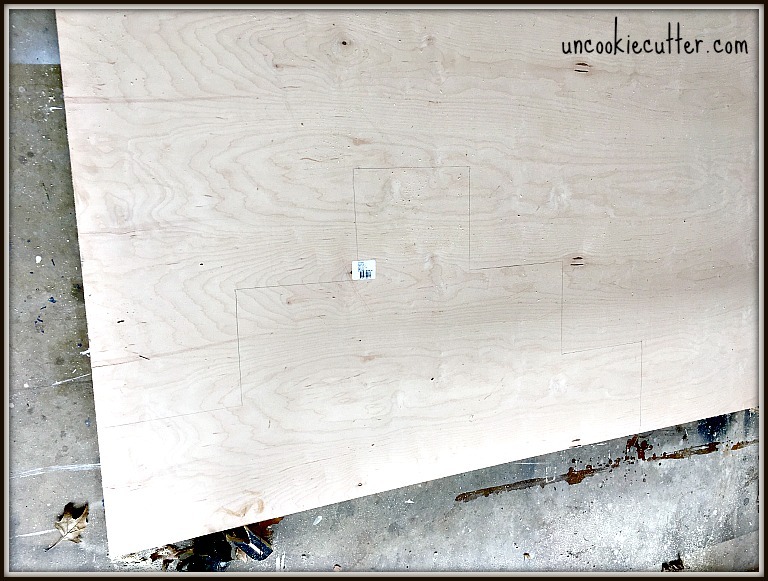 I laid this box down onto a piece of plywood and traced it out. Then, I just cut it out with a jigsaw, being super careful. I’m not great with a jigsaw, but this was an easy thing to cut out. 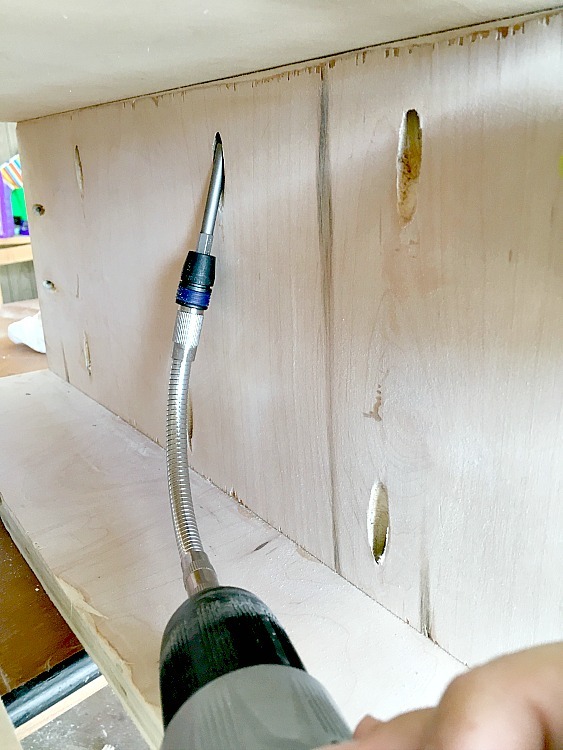 Use your previously drilled pocket holes to attach the box to the back piece. Don’t forget the glue! 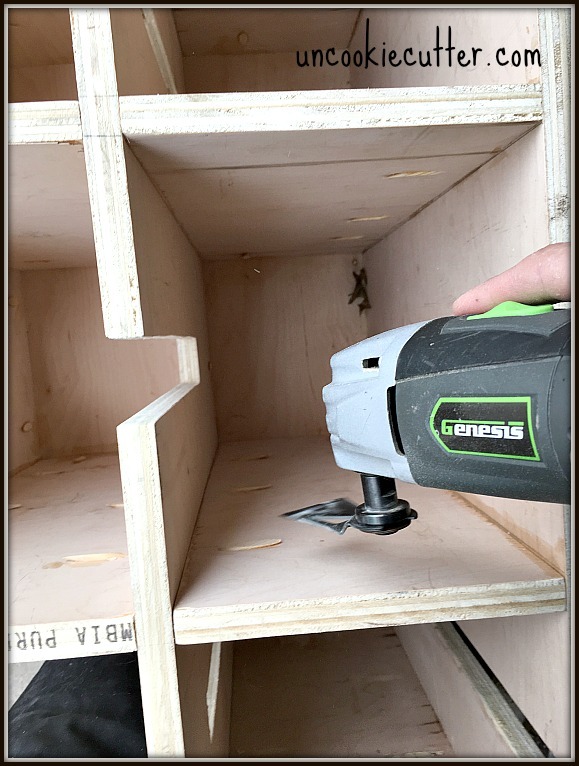 I forgot a picture of this step, but basically just lay the box on top of the back and screw it together with the pocket holes that are inside the box. Now you are done with the assembly! At this point, when everything is attached and put together all pretty, I filled all my pocket holes with plugs. I use a little wood glue and small needle nose pliers to get them into place. After they dry, I take an oscillating tool and shave off the excess. I attached some furniture feet to the bottom, which is optional. I put one in each corner and one right in the middle for a little extra support. Now, this is the first time I’ve ever added plywood edging. I just wanted it to look a little more finished. It wasn’t to bad, just took a little time. First, sand all the edges so everything is nice and smooth and even. Then, cut your strips and iron them on. Make sure to cut err on the side of a little long because you can sand them down pretty easy when you are done. That’s it! After all that, it’s just sanding and staining. Because this post is getting sooooo long already, I’m going to write a separate post in a couple of days about how I did the stain and logo on the display stand. If you like the little cutouts, you’ll probably have to do them to match whatever size you need, but here are my measurements. I just cut them out with a jigsaw. I did some in the middle and some on the edge so the ducks could be slid in and out easier. 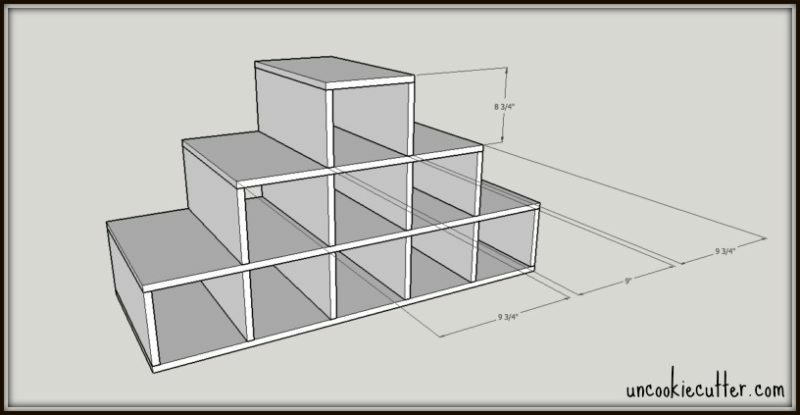 These are the dimensions I used, but you can place them however you like. Then, you get these nice little spaces that allow the ducks to be displayed so nicely. And that’s it for my not-so-little display stand! Check out my post on how to stain logos and text HERE. That’s it for today! Thanks so much for stopping by. Great post. This has not become a headache for me yet but I’m sure it will at some point. 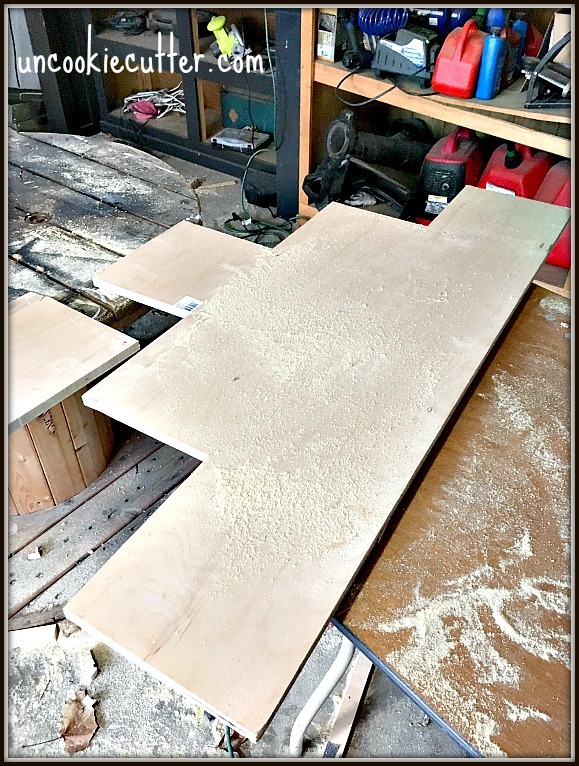 Fantastic post, I love that you’ve shared the plans for this and gone over each step, I loved the tip about clamping the boards together before drilling. This project really came out well. 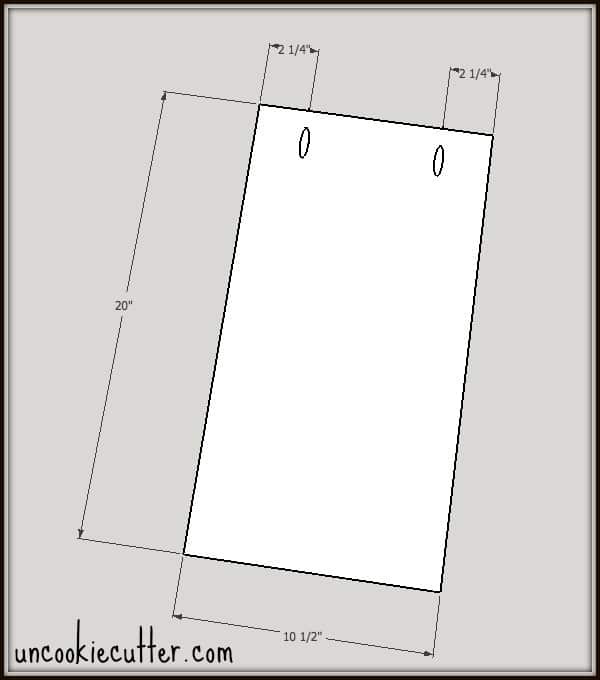 What was the software you used to create the plans? Thanks, I can’t wait to read more! Hi Adam, Thanks so much. 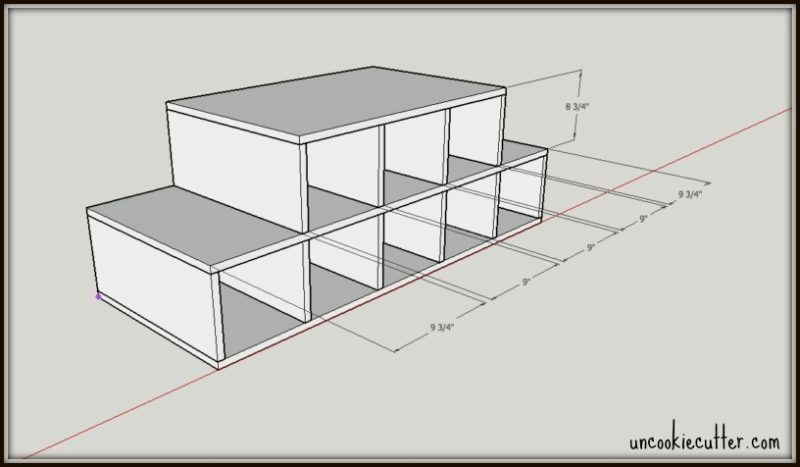 I use software called Sketchup – it’s easy to use and they have great tutorials online. Thanks for stopping by.